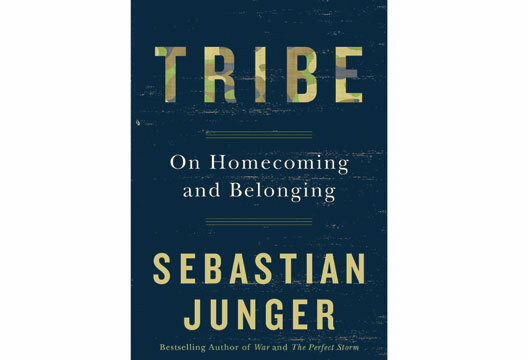 A review of 'Tribe: On homecoming and belonging', by Sebastian Junger, from Professor Edgar Jones. To explain why soldiers returning from recent conflicts in Iraq and Afghanistan suffer from high rates of post-traumatic stress disorder (PTSD) and experience difficulties reintegrating in civilian life, Sebastian Junger, the American journalist and war correspondent, sets up a challenging dichotomy. He argues that traditional tribal societies created a sense of belonging and purpose that protected people from mental illness. By contrast, modern Western society is safe, focused on the individual rather than the group and is authoritarian. Facing the dangers of the battlefield, soldiers recreate tribal bonds for mutual protection, whilst civilians exposed to air raids report a similar phenomenon. Comradeship in a context of extreme risk, Junger believes, is the last vestige of an earlier system of governance and relating. Veterans, traumatised by combat, find it difficult to adjust to civilian life because they hanker after the close emotional ties of military service and because there is nothing in modern life to provide them with a similar sense of connectedness and authenticity. This, Junger concludes, is why rates of depression and PTSD remain high and often treatment resistant amongst ex-service personnel. The study comes close to glamorising both tribal society and conflict, arguing that for many people war ‘feels better than peace’. He takes a macho approach claiming that people thrive on hardship because it provides opportunities for young people to mature through the exercise of courage and sacrifice. Elevated levels of depression and suicide Junger attributes to the valuation of beauty, money and status over belonging and connectedness. However, his assertion that ‘modern society has almost completely eliminated trauma and violence from everyday life’ applies only to subgroups or advantaged nations. Some of the generalisations do not stand scrutiny. Suicide rates are reported to fall during wars because people feel a corporate sense of purpose, but this claim is subject to reporting bias. Suicide is readily disguised in wartime and often difficult to assess. If a war-weary soldier unnecessarily exposes himself to danger and is killed, should we interpret this as an act of courage or one of self-harm? Few commanding officers would write to home to a parent to say that their son had taken his own life on the battlefield. Junger presents an idealised view of human behaviour in the Blitz, forgetting that cases of larceny rose and black market trading flourished. Serious crime remained at pre-war levels despite young men being conscripted into the armed forces. In part, this statistic reflected the weakened state of police forces as officers volunteered for military service, their ranks being filled by middle-aged men with little understanding of criminality, a point exploited by career offenders. Junger rightly records that air raids failed to erode civilian resilience in Britain and Germany during World War Two but misses the essential point that mortality and wounding never came anywhere close to that experienced on the battlefield. The 30,000 deaths in London represented 0.3 per cent of the capital’s population, whilst in Dresden the 25,000 killed in February 1945 represented 3.1 per cent of the city’s inhabitants and refugees. Infantry regiments on the Western Front or in Normandy could expect mortality rates of between 10 and 30 per cent in high-intensity battles. With ambitious, wide-ranging books that are loosely based on academic findings, it is tempting to find errors or discredit their claims. Yet these studies have a role. Their authors make imaginative leaps across disciplines and topics that professional researchers are taught to avoid. The elevation of hardship and tribal culture as sources of wellbeing is flawed but Junger’s final observations about the need for a balanced and fulfilled emotional life ring true.